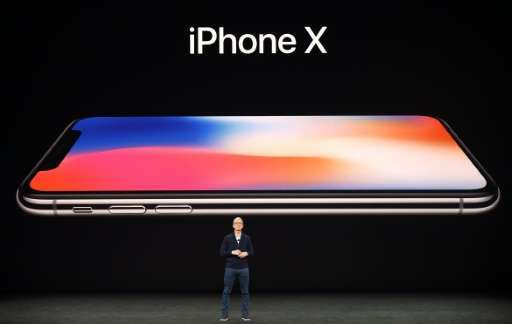 Apple laid claim to the future of the smartphone Tuesday with a 10th anniversary iPhone X, touting the device as the next generation of mobile computing. The iPhone X has an edge-to-edge 5.8-inch (14.7-centimeter) "super retina" display that has improved resolution, and uses facial recognition to unlock the device. 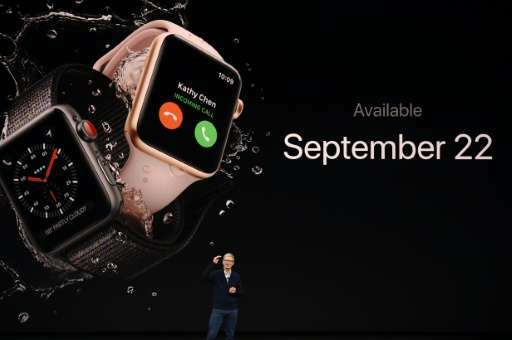 Apple upped the ante by boosting the starting price of the new handset to $999 for US customers. It will be available starting November 3 in more than 50 markets. "I think it will have very strong appeal to the Apple core and the high-end market," Reticle Research analyst Ross Rubin said of iPhone X.
Rubin believed that payment installment plans and price subsidies or promotions offered by carriers would mean the iPhone X "won't be a big stretch" for people in the market for premium smartphones. All three new handsets will be capable of wireless charging and are adapted for augmented reality with more powerful processors and cameras. The also had memory space boosted in a nod to modern day demand for storing rich data like video. Moorhead said the handset "is not just a late copy of the competition. Apple did it their way by perfecting the experience. " "What Apple doesn't want is for people to want the best but not be able to afford it and therefore hold onto their existing phones rather than buying what they consider second best," Dawson said in a blog post. For the iPhone X, Apple developed what it called an A11 Bionic chip as part of a system that lets handsets recognize owner's faces to unlock screens or pay via the Apple Pay mobile payments system. Apple is touting the edge-to-edge OLED display—the organic light-emitting diodes used in high-end televisions—to win over customers. "For more than a decade, our intention has been to create an iPhone that is all display," Apple chief designer Jony Ive said in a statement. "The iPhone X is the realization of that vision." The iPhone 8 models boast upgrades from the prior generation handsets. 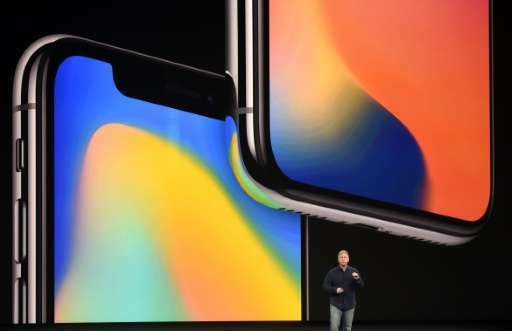 They have Bionic chips, improved cameras and are made with "aerospace-grade aluminum" and durable glass, according to Apple. "Apple is trying to differentiate through design and experience," Rubin said. "There is a lot of emphasis on Apple technologies positioning us beyond the phone." Ninety-Nine dollars and ninety-five cents and just ...maybe... it will not call your dropping your precious 'golden doorstop' an act of 'abuse' not covered by your so called solid gold pyrite 'limited warrantee'.